Great apartment for a quiet break - had everything we needed. Georgeous hill view from appartments, see pic. No need to use aircon even at high tepmp days, our apptm /A2/ had many windows . Pleasant pool enough for decent short swimming , be sure to dine beside this pool and let owner Evans to grill a fish for you. Believe me next time you come for more... Fresh local veggies are staple for locals so they are fresh out of heaven..
We felt warmly welcomed by the friendly owner who runs this nice little resort. Everything is clean and the breakfast was very good. Highly recommended! The hosts were lovely people and the meals we had in their restaurant were delicious. It was very peaceful and relaxing, with farmers going about their work in the field around the apartment. 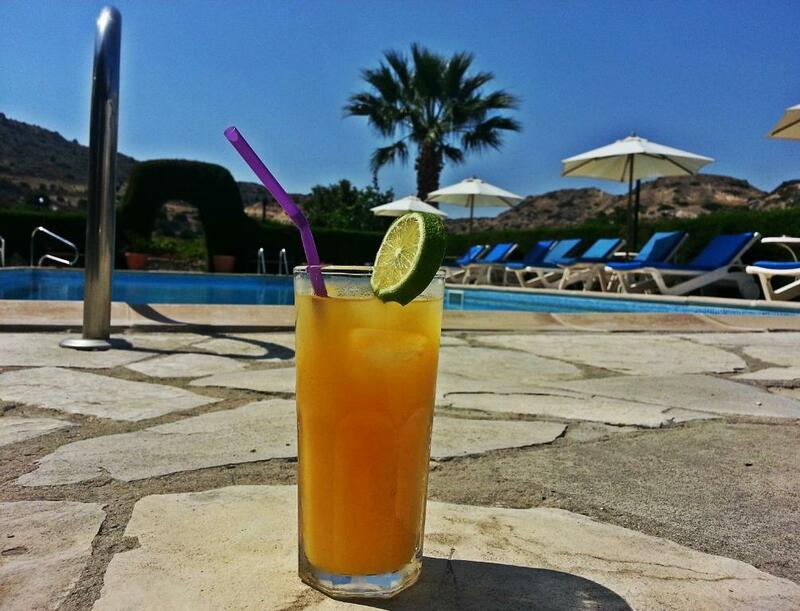 It felt like an authentic experience of Cyprus. Fantastic view from the balcony. Very kind hosts who served us fresh fruit from their garden every day. The informality of a small family run enterprise. Nothing is too much for Evans or Maria. If you want or need something, you only have to ask. Lovely secluded pool surrounded by hedgerow. 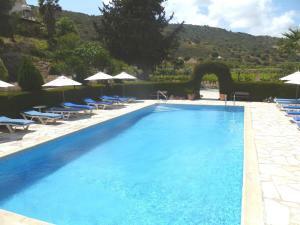 Peaceful location, great views, fresh figs and grapes at the poolside, 30 deg C under a clear blue sky… heaven. The view from terrace was beautiful! Friendly hosts. Lock in a great price for Ampelokipi Holiday Apartments - rated 8.8 by recent guests. Featuring an outdoor pool and a snack bar with satellite sports channels, the family-run Ampelokipi Holiday is quietly located in a vine-covered valley. 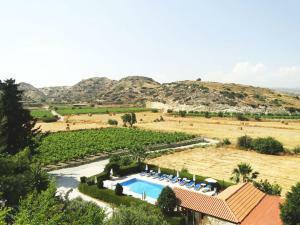 It offers self-catered accommodation and billiards. 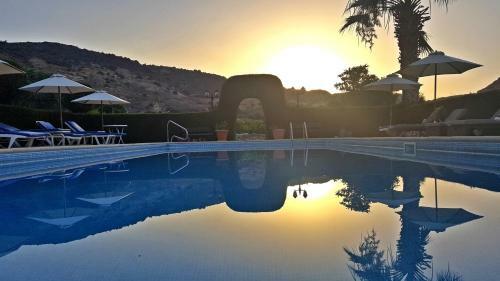 Pissouri Bay Beach with taverns and shops is 450 yards away. All apartments are bright and spacious and open to a balcony with pool and mountain views. Their fully equipped kitchen includes a stove, fridge and dining area. A TV is available at the seating area, while a hairdryer is provided in the private bathroom. Air conditioning is available upon request and for an extra charge. 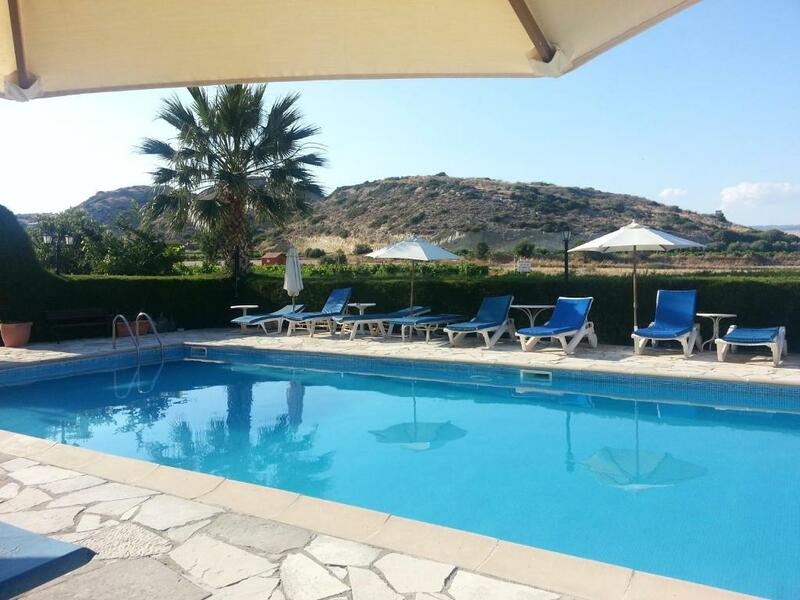 Ampelokipi Holiday Apartments lies around a 15-minute drive from Paphos International Airport and around a 25-minute drive from Limassol Town. Free, private parking is available on site. Ampelokipi Holiday Apartments has been welcoming Booking.com guests since 26 Sept 2012. When would you like to stay at Ampelokipi Holiday Apartments? A calmful spot surrounded by vineyards, valley and nature. Walking distance to a clean and beautiful beach with crystal waters. 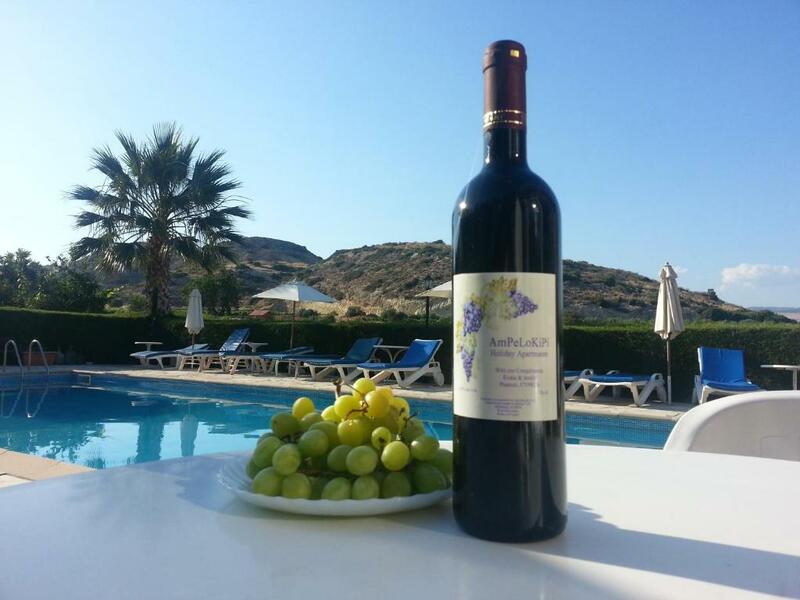 House rules Ampelokipi Holiday Apartments takes special requests - add in the next step! Our apartment smelled and we didn´t want to be in it. The was no free toiletries. Towels were very old and with stains. Although there is described as wifi in all areas there wasn´t wifi inside room and we had to go outside for the wifi. We arrived from Limassol for three nights. Met Evans and had a drink at the bar before we were shown to our apartment. We loved our apartment and the balcony that sat between a flowering pomegranate tree and a blooming bougainvillea. The first night we elected to have dinner and we had the most succulent sea bass, wonderful fresh salad, tasty potatoes and fruit from the garden, all prepared by Evans and his wife. 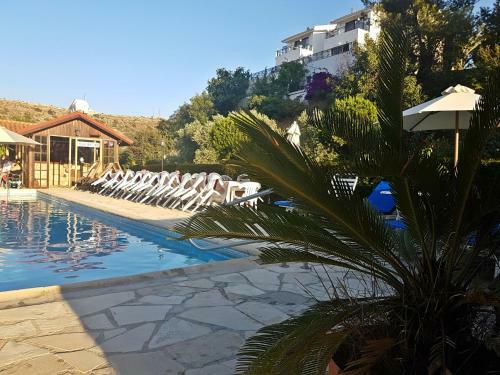 The whole premises is in a glorious setting with expanse of land and hills in the distance and just a 5 minute drive from the beach, although we did use the lovely pool. Unfortunately, my husband went to pay the extras not realising that Booking.com had taken full payment for the accommodation but the owner took payment in full perhaps not realising that Booking.com had taken payment, we therefore paid twice and I had to ask my cousin's husband to speak to him. I subsequently called Booking.com organised everything and we received a full refund from them. I hope that this in now way hinders our relationship with the owner as we would definitely like to stay there again at some stage. The stay was delightful. Quiet and within walking distance of beach.